They were joined by Rev. John Welge, a special guest speaker from Food for the Poor. Food for the Poor is an interdenominational Christian charity that helps poor people throughout Latin America by providing them with new houses, water pumps for villages, goats for families, and it feeds millions of poor people every year. Members of Good Shepherd were challenged to reach out and help those less fortunate. 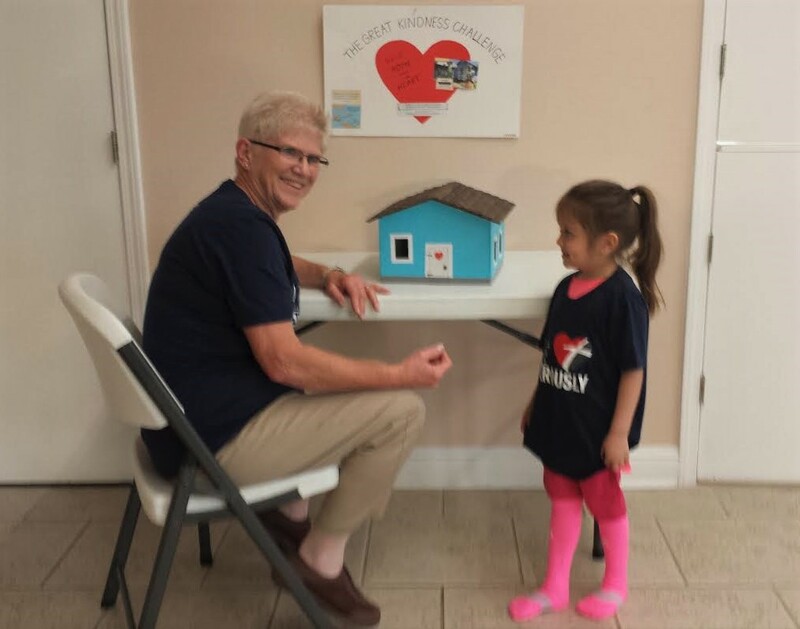 Mission chair, Carolyn Kassulke, challenged them to the “Great Kindness Challenge.” The challenge was to build a “Home from the Heart” during the month of February. The cost was $3,600. 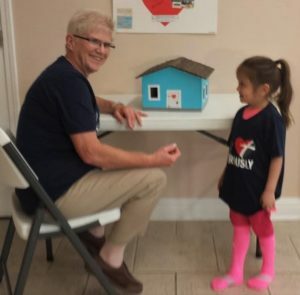 She constructed a small model house to represent their progress. Each wall of the house, along with each side of the roof, equaled $600. Each Sunday, Mrs. Kassulke showed the model and its progress. The members more than met the challenge. $4,350 was raised for Food for the Poor, enabling them not only to build a new house but also to provide two water wells for two villages and two goats for two families. It was a wonderful challenge and response to Christ’s love and call to help others!